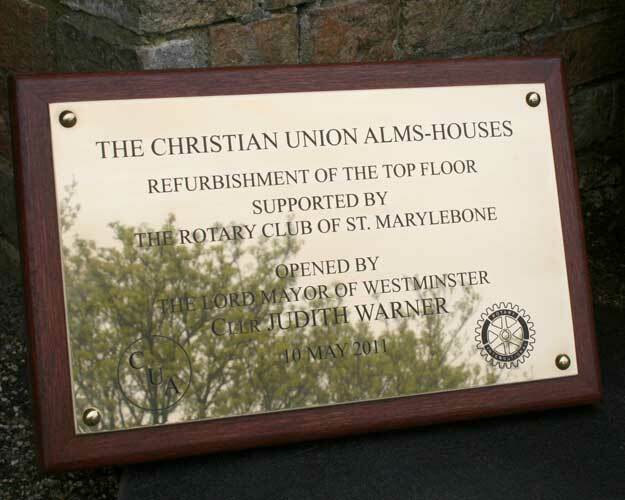 Etched metal signs meet many requirements other than ‘standard’ office or building signs. Stainless steel or brass are offered with a polished or satin finish whereas bronze is chemically treated to darken and start the aging process. 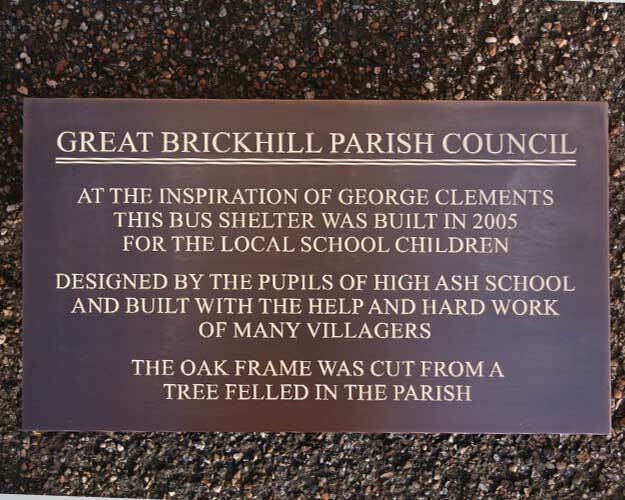 Metal plaques can also be produced with a degree of relief – the background is removed to leave the detail which is lightly polished. In the case of bronze the background is chemically aged to produce a contrast. 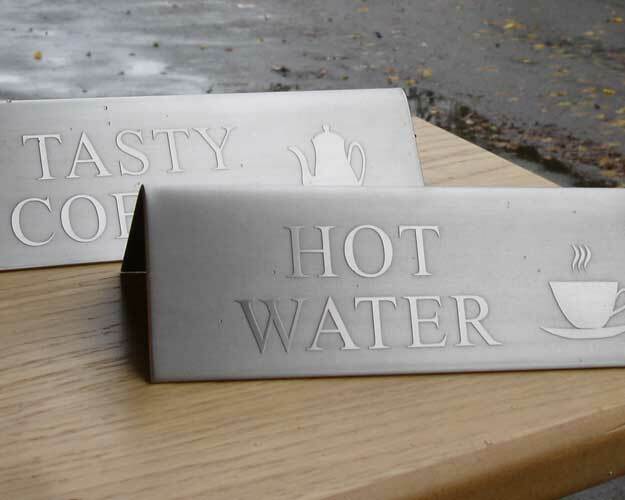 This method is ideal for memorial plaques where small letters, that are not suitable for casting, are required. An example of this method of etching is shown in the photograph of brushed stainless steel Table Labels above. Signs can be shaped, bent or curved as required. Logos and pictures can be added using quality digital files. Artwork for ‘relief’ etched signs should be supplied in black and white, where the black represents the relief. We are very pleased to produce artwork for you and to submit for approval before manufacture. 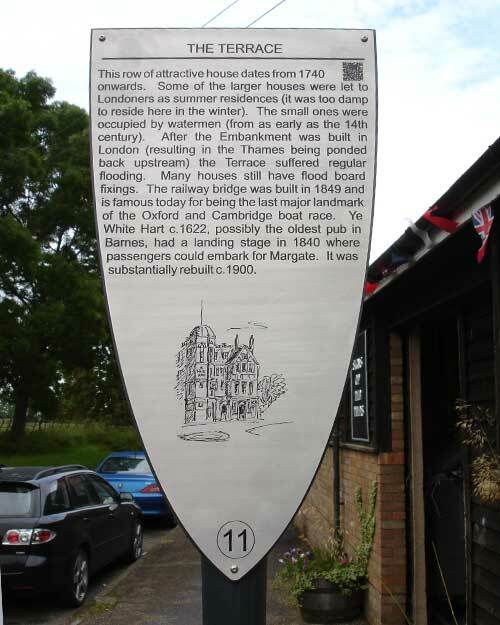 Signs can be drilled for wall fixing, mounted onto posts or wooden plaques.